When choosing a static caravan you will probably look for the holiday park which meets your requirements and then move onto the caravan. Selecting the right holiday park is vital to ensure a long term ownership. Now for the caravan and looking for the right caravan to suit your needs. Most of the Parks will deal with majority of the manufacturers. If buying directly from the park you will probably deal with a salesperson instead of direct with the manufacturers. You can collect brochures direct from the manufacturers to research all the models and specifications which will not only ensure you choose the correct model but also help you to understand what to look for and choice of different models. To see the caravan you can visit them at key caravan exhibitions as most top manufacturers will display there, see events. The static holiday caravan has been designed for holiday use instead of full time living. With its modern construction and use of high quality materials the static caravan should be built to British and European standard: BS EN 1647 but some luxury caravans are built to BS 3632 confirming to residential standards. 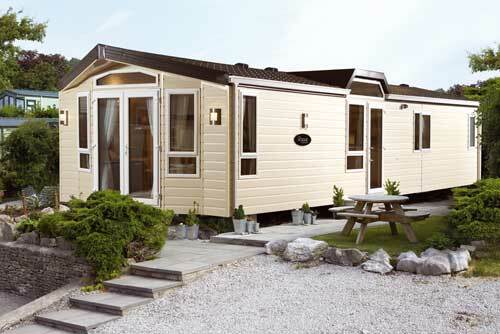 Normal static caravan can come in either one or two sections with width up to 22ft and 60ft long. If you have a one piece model this is a single unit and the two piece is known as a twin and usually assembled on site. Decide on how many bedrooms you require as most caravans can be from 2 to 4 bedrooms but up to eight berths. Manufactures will normally have their own layout but will offer a number of ranges depending on your budget. When it comes to size and specifications you should not only look at all of your own needs but if you are sub letting then there maybe other requirements. This decision should be looked at before purchase, maybe make a list of what you need and what is needed for sub letting. Budget will normally make your decision also how often you use the caravan and again if you going to sublet. If you will be there for long periods of time then it may be worth spending a little extra to gain more living space or an extra bedroom but if only there for short periods and subletting you may opt for the standard size and specifications hopefully providing you with a better return.